ww2dbaseUpon victory in North Africa, Allied forces used ports in North Africa as staging points northwards toward the underbelly of Europe. The first target chosen by the Allied commanders was Sicily after concluding an amphibious operation against Vichy France would be impossible. Allied occupation of Sicily would also safeguard Allied shipping in the Mediterranean, as well as relieve Malta from the constant Axis air raids. ww2dbaseOn 10 Jul 1943, Operation Husky called for 2,590 Allied ships to land 180,000 troops, 600 tanks, and 14,000 mechanized vehicles on the Italian island in three days at multiple sites, forming the second largest amphibious operation in the European theater. A large gamble the Allies took on was that the landing took place at several locations; a failure in any of the many locations could negatively affect outcome of another landing site. When the actual landings took place, harsh weather conditions (very strong winds) surprised the Axis defenders, while support fire from ample naval power ensured successful landing operations by the Allied 15th Army Group. The army group, consisted of the U.S. 7th Army and the British 8th Army, benefited greatly from the newly developed DUKW ("duck") landing craft. The landing forces were protected by six battleships, 10 cruisers, and two aircraft carriers. Four airborne operations were also conducted. Eventually, 180,000 soldiers would set foot on the island. ww2dbaseThe island was defended by 230,000 Italian troops consisting of weak coastal defense units. It was generally thought that the best Italian units were lost in Africa, although Dwight Eisenhower was unwilling to discount the quality of Italian troops as the psychology of defending their own homeland could make a world of difference in their ferocity. The Italian troops were augmented by two German divisions under the command of General Hans Hube, which commandeered much attention by Eisenhower's intelligence staff. Initial resistance was fierce from Italian XII and XVI Corps and German XIV Panzer Corps, combined at the strength of 400,000, but under the pressure of Eisenhower's troops they soon buckled; Syracuse was taken on the first day of the invasion nearly uncontested, Palermo on 22 Jul, and Catania on 5 Aug.
ww2dbaseThe air defense on Sicily was comparatively stronger. Stukas and ME-110s strafed the invasion fleet whenever opportunity presented itself, not causing serious damage but sparred up enough panic to serious endanger the success of subsequent operations. 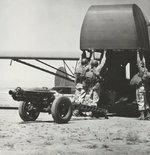 For example, when Allied C-47 transports carrying airborne troops flied across the invasion fleet, the naval gunners nervously fired their anti-aircraft weapons at the friendly planes in total panic. "Hundreds of men were lost, entire sticks of paratroopers jumping early when their pilots in all the confusion hit the green light, and the heavily laden men came down in the ocean and disappeared." ww2dbaseFrom 17 Jul on, Bernard Montgomery's British Eighth Army secured the Catania region on the eastern coastline of Sicily. To the north of them was Mount Etna where a strong garrison stood. Plagued by malaria, the British troops divided into two columns, each marching north on either side of Mount Etna. The westward-flanking column was conducted by surprise to both the defenders and Montgomery's American allies alike. This move actually cut off part of the American advance across the center of the island, which enraged George Patton. Patton reinforced the British western column near Randazzo as ordered, but he wanted to protest the British general's move into his turf. ww2dbaseThe Battle of Troina characterized the fierce, though few, inland fighting on the island of Sicily. The American Seventh Army's First Division and two Canadian regiments fought off 24 separate counterattacks during the battle while behind the line artillery shelled German positions in the rocky hillsides. Several days after the capture of Troina, Americans were surprised to find a small valley filled with hundreds of German dead. "They were victims of American artillery fire," said Eisenhower; if the frontline infantrymen did not appreciate artillery support, they did now. ww2dbaseOn 11 Aug, Axis forces started to evacuate the island in a nevertheless impression fashion. A perfect coordination between Italian and German navies, under the command of Admiral Barone and Captain von Liebenstein, respectively, they withdrew 117,000 troops to Italian mainland within days before American forces pushed the remaining Germans to Messina, located at the northern tip of the island. For Montgomery blocking American advance near Etna, Patton ordered his troops to advance into target areas designated for the British. As an excuse, Patton claimed that the communications were disrupted, while he marched forth. "This is a horse race in which the prestige of the US Army is at stake", he later wrote about his personal crusade to out-shine the British. ww2dbaseAllied forces secured the island on 17 Aug as the remaining German forces evacuated from Sicily that day, with the US Third Infantry Division entering Messina hours after the last Axis troops left the island. Patton had won his race. ww2dbaseAt the end of this campaign, Axis casualties totaled 29,000, and the greatest loss came when 140,000 men (mostly Italian but some German) were captured as prisoners of war. On the Allied side, the Americans suffered 9,530 casualties (2,572 killed, 5,946 wounded, and 1,012 missing or captured), the British 12,843 (2,721 killed and 10,122 wounded, missing, or captured), and the Canadians 2,410 (562 killed, 1,848 wounded, missing, or captured). ww2dbaseA blemish shrouded the Allies when it was discovered that American troops killed 73 Axis prisoners of war. ww2dbaseThe fall of Palermo on 22 Jul damaged the Italian morale tremendously, giving those in Italy who opposed Mussolini's pursue of war an opportunity to seek an armistice. However, it was not an easy task as the Italian ranks were infiltrated by German spies. An airborne operation was planned in cooperation with certain Italian groups to seize Rome, but it was called off by the Italians at the last minute due to German movements nearby. General Maxwell Taylor later made a secret trip to Rome to negotiate with the Italians, assuring that an Italian surrender would guarantee Allied protection against German retribution. He promised that the Allies would land up to three divisions in Italy, but the Italians wanted 15.
ww2dbaseThe fall of Sicily in Aug 1943 affected the Italians so tremendously that a coup d'etat materialized. Italian leader Benito Mussolini was deposed from power, and the new government under Marshal Pietro Badoglio accepted a "Short Military Armistice" with the Allied powers on 3 Sep. "By this act," said Badoglio, "all ties with the dreadful past are broken and my government will be proud to march with you on to the inevitable victory." Eisenhower publicly announced that bombing raids against Italy would be ceased due to the Italian surrender, although in actuality Eisenhower's true intentions were to use the bombers to transport vital supplies to the front, therefore some argue that the gesture was not completely out of a merciful nature. In response to the Italian surrender, Adolf Hitler ordered for the removal the elite First SS Panzer Division from Russia to Italy. Most of the Italian fleet escaped to Malta, though the Luftwaffe was able to sink several Italian ships before they were surrendered to the Allies, including the battleship Roma which was sunk by the newly developed Fx-1400 armor-piercing radio-controlled gliding bombs. ww2dbaseMussolini was later rescued by a daring airborne commando mission and installed by Hitler as a puppet leader in northern Italy. ww2dbaseSources: Crusade in Europe, the Fall of Berlin, Honor Untarnished, the Second World War, Wikipedia. 17 Jun 1943 The Royal Navy battleships HMS Nelson (flying the flag of Vice-Admiral Algernon Willis) and HMS Rodney plus a large squadron sailed from Scapa Flow to join the largest invasion fleet yet mustered in World War II - 280 warships, 320 merchantmen, 2,125 landing craft and smaller vessels - for Operation Husky, the Sicilian landings. 25 Jun 1943 As part of the preparation for the invasion of Sicily, Italy (Operation Husky) some 130 American B-17 bombers from the Northwest African Tactical Air Force dropped over 300 tons of bombs on Messina, Italy. 5 Jul 1943 USS Ancon departed from Oran, French Algeria for Operation Husky with Admiral Alan Kirk and Lieutenant General Omar Bradley on board. 10 Jul 1943 The Allies began Operation Husky, the invasion of Sicily, Italy, with an airborne assault before dawn; amphibious elements of Operation Husky landed to join the fight later in the day. Out at sea, hospital ship Tampala and LST-313 were sunk by German air attack. Picket ship USS Sentinel was sunk by a SC250 bomb delivered by a Fw 190 aircraft off Molla. Destroyer USS Maddox was also lost after being attacked by dive bombers and sunk within two minutes. The US Navy would subsequently suffer severe accusations for failing to supply adequate air cover. 10 Jul 1943 USS Ancon arrived off Scoglitti, Sicily, Italy and disembarked troops. 11 Jul 1943 British 8th Army captured Syracuse, Sicily, Italy and its useful harbour. Also on Sicily, General Paul Conrath's Hermann Göring Panzer Division overran the American outposts at Ponte Dirillo and were only prevented from breaking through the Allied lines by an attack by James Gavin's paratroopers from the rear. Elsewhere, Conrath personally led a column which assaulted the weakly held Piano Lupo, to get within 2,000 yards of the beach before being stopped by the defenders. 11 Jul 1943 USS Ancon operated off Scoglitti, Sicily, Italy as a commications ship. 12 Jul 1943 British 8th Army captured Augusta, Sicily, Italy, adding yet another useful harbour for the Allied invasion forces. 12 Jul 1943 USS Ancon departed off Scoglitti, Sicily, Italy. 13 Jul 1943 Operation Fustian: After sun down, 1,900 men from the UK 1st Airborne Division set out to capture the Primosole Bridge over the Simeto River in Sicily, Italy by parachute and glider. Less than 200 men with three anti-tank guns reached the bridge. They overpowered the guards and removed demolition charges placed by Italian engineers. However, unbeknown to the Allies, the machine gun battalion of a German parachute division had just been dropped on to that very area. The two parachute forces were immediately locked into battle, but the tiny British unit, though heavily outnumbered, would remain at the bridge awaiting arrival of reinforcements. Elsewhere, British troops captured Augusta and Ragusa in Sicily, Italy. 14 Jul 1943 Before dawn, Allied Northwest African Strategic Air Force Wellington bombers attacked Palermo and Messina in Sicily, Italy while C-47 Skytrain transports dropped British airborne troops at the Simeto River at Primosole Bridge; the paratroopers attempted to establish a bridgehead, but they faced stiff opposition. During the day, British and American aircraft attacked Messina, Marsala, Enna, Palermo, Randazzo, Licata, and Lentini; in indirect support, American aircraft struck Naples on mainland Italy. Elsewhere in Sicily, US troops captured Niscemi and Biscari airfield while other British troops captured Vizzini. 15 Jul 1943 Before dawn, Allied Northwest African Tactical Air Force bombers attacked Palermo, Sicily, Italy. During the day, US Ninth Air Force B-25 bombers attacked Palermo, Cape Gallo, Salina Island, and Cape Zifferano while the Northwest African Tactical Air Force attacked Vibo Valentia. Meanwhile, airborne troops of the UK 1st Airborne Division were relieved after fighting a larger German airborne force at Primosole Bridge over the Simeto River in Sicily, Italy for the past two days, ending Operation Fustian. Finally, US 7th Army captured the ports of Agrigento and Porto Empedocle. 16 Jul 1943 In Sicily, Italy, Canadian troops captured Caltagirone, American troops captured Agrigento, while British troops secured the Primosole Bridge and marched for Catania. On the same day, Allied aircraft attacked Valguarnera, Vibo Valentia, Randazzo, and other targets in Sicily. 16 Jul 1943 While supporting the Sicily, Italy operations, HMS Indomitable was torpedoed either by a SM.79 bomber (crewed by Captain Carlo Capelli and Lieutenant Ennio Caselli) of 204a Squadriglia of the Italian 41st Torpedo Bomber Group or a German Ju 88 bomber. The British carrier would be sent to the United States for repairs. 17 Jul 1943 From before dawn into the day, aircraft of the Allied Northwest African Tactical Air Force attacked Catania, Paterno, and other targets on Sicily, Italy. Meanwhile, the Allied Military Government for Occupied Territories was formed for Sicily with General Sir Harold Alexander at its helm. On the front lines, American troops captured Agrigento and Porto Empedocle. 18 Jul 1943 In Sicily, Italy, before dawn, British Wellington bombers of the Allied Northwest African Strategic Air Force bombed Montecorvino on Sicily and Pomigliano in mainland Italy. After daybreak, American A-36 aircraft of the Allied Northwest African Tactical Air Force attacked Santa Caterina, Adrano, Lercara, and Termini Imerese. On the ground, Canadian troops captured Valguarnerna, US Seventh Army troops captured Caltanisetta, and British Eighth Army troops move slowly along the east coast of Sicily near Catania. 19 Jul 1943 US 7th Army and British 8th Army continued to make advances in Sicily, Italy; encountering resistance along the coast, Bernard Montgomery ordered his British 8th Army to take an alternate route, inland, toward Messina in the north. The Allied Northwest African Tactical Air Force launched B-25 bombers to attack Catania and Randazzo while US 9th Air Force P-40 aircraft bombed railroads and railcars at Alcamo to support the ground troops on Sicily. After sundown, Allied bombers struck Aquino and Nicosia. 20 Jul 1943 Italian troops surrendered en masse to US troops in Sicily, Italy as US 82nd Airborne Division captured Sciacca and Menfi, US 9th Infantry Division captured Santo Stefano Quisquina and the heights north of Mussomeli, US 2nd Armored Division with British troops in support captured Enna, Canadian 1st Division reached Leonforte, and British 51st Division attacked the Sferro airfield. In the air, Allied Northwest African Strategic Air Force fighter-bombers attacked various targets in western Sicily while medium bombers struck Montecorvino Airfield. 21 Jul 1943 Before dawn, Allied Northwest African Tactical Air Force attacked Italian ships in waters near Randazzo, Sicily, Italy. On land on this day, US 1st Infantry Division captured Alimena, US 3rd Infantry Division captured Corleone, US 45th Infantry Division captured Valledolmo, US 82nd Airborne Division captured San Margherita, US Rangers captured Castelvetrano, and Canadian 1st Division captured Leonforte. After dark, US 9th Air Force B-25 bombers attacked the Randazzo area again. 22 Jul 1943 US 2nd Armored Division captured Palermo, Sicily. 27 Jul 1943 Heavy fighting in Sicily, Italy led to Feldmarschall Kesselring's decision to plan a possible evacuation of his forces to the mainland. 3 Aug 1943 Italian troops begin evacuation of Sicily, Italy. 4 Aug 1943 The US advance in Sicily, Italy was halted at Troina and the Furiano River. 5 Aug 1943 In Sicily, Italy, German forces withdrew from Troina, while British Eighth Army captured Catania. 6 Aug 1943 After capturing the important town of Troina at Sicily, Italy, Lieutenant General Patton fired both the divisional commander (Major General Allen) and his deputy (Brigadier General Roosevelt) of the US 1st Infantry Division who were responsible for the victory. 7 Aug 1943 RAF Bomber Command launched a raid on Milan and another on Turin to bring pressure on the new Italian Government, led by Marshal Pietro Badoglio, to accept the Allies peace terms. During the Milan raid a Lancaster bomber piloted by Herbert Barley was heavily damaged by an Italian fighter (probably a Macchi C.205 Veltro) losing two engines, but in a remarkable piece of flying the crew fought their crippled aircraft all the way across the Mediterranean Sea to a safe landing in Tunisia. 8 Aug 1943 US troops landed at St. Agata, Sicily, Italy. 12 Aug 1943 German forces evacuated Sicily, Italy. 16 Aug 1943 US troops entered Messina, Sicily, Italy. Meanwhile, the Axis forces successfully evacuated 100,000 troops from Sicily to the mainland. 17 Aug 1943 Allied artillery began shelling Italian mainland from Messina, Sicily. 30 Aug 1943 Bernard Montgomery hosted a victory celebration at Catania, Sicily, Italy. 8 Sep 1943 The Italians formally announced their unconditional surrender to the Allies, leading to German reserve forces crossing the border into Italy. 23 Sep 1943 British Mediterranean Fleet Commander-in-Chief Admiral Andrew Cunningham and Italian Navy Chief of Staff Admiral Raffaele de Courten at Brindisi, Italy and struck the Gentlemen's Agreement, beginning a period of cooperation between the two navies. One key point about the Sicily operation was LTG Patton's daring (if insubordinate) actions. LTG Patton got in a great deal of trouble for his push to Palermo and Messina. However, it must be said that as a result, the British gained a great deal of respect for the US Army and the capabilities of its commanders. Without Patton's actions in Sicily, it is doubtful that an American (GEN Bradley) would have been given command of the land forces for the Normandy landing, or that the Americans would have been given such a primary objectives during the Normandy campaign. I was with the 78th Infantry div,when we landed in Sicily.We were warned before hand,that when we landed we would be met with sniper fire machine gun fire,morter fire, Be prepared !When we landed we were met with woman offering us grapes, melons, and fruit.The men did not want cigarettes or chocolate.All they wanted was SALT. Looking for information on my uncle killed in the invasion of sicily His name was Alfred Bougie. He is buried in Italy.Please reply. Who where the english mechant ships that participated in the landing and wich one of them were hit by a torpedo. My grandfather was there and I want to find out what ship he was on. He was polish. my uncle edwin was in italy with 78 div.he wasin 1st east surreys any vets know him like to here from you . My Grandfather told me a story about the Duck in front of his going down (sinking) before his entered the water in Sicily during 1943.Anyone have any knowledge of any sinking accidentally or anything of the regiments who went to Sicily??? You write that the allied losses were 5,000 men and 29,000 German-Italian. If you refer to the total of dead and wounded allies and the exact number is 18000 with 3000 prisoners. The number of dead and wounded of Axis is correct. These numbers are also verifiable U.S. government sites. Many compliments for the site from Messina. How can I find a list of ships that participated in the invasion of Sicily in WWII? My Dad was in the Black Watch Regiment and was at the Battle of the messina Bridge, his name was Ronald Arnold is there anyone who remembers him, would be very grateful if you could let me know please. Thankyou. My father fought in the Invasion Of Italy. His name was James Muir and he was Scottish. He also was a radio operator. Can anyone tell me exactly what he would have done. He was wounded by a bayonet. What hospital would he have gone to? During the Allied invasion of Sicily, No.3 Commando was tasked by General Dempsey to silence a battery located in an olive grove behind the village of Cassibile which covered a key invasion beach. Lieutenant Colonel John Durnford-Slater promised the General that he could complete the task within ninety minutes from the moment of landing. No.3 Commando moved to Suez where they set up a dummy copy of the target. Twelve rehearsals later every man in the unit knew the entire mission backwards. The plan was for Durnford-Slater to lead the attack on the battery while Major Peter Young with a detachment would deal with any beachhead pillboxes and fortifications. On D-Day the battery was duly destroyed in just eighty five minutes (i.e. with five minutes to spare) but Peter Young was in a foul temper because his landing craft had been badly handled and his men had landed in the wrong place. Begging the Colonel for something else to do he was sent off to deal with some Italians skulking in a nearby Fort. He returned in a much happier frame of mind. My Dad was a firetender in a LST in the Sicily campaign. He was injured in the first week of Sept 1943. I don't know how he was injured; he was blinded but eventually regained use of one eye. He was taken from his ship to various field hospitals, ending up in Florida at Thanksgiving 1943. Since his father had died in the interim, Dad was discharged from service. Does anyone have any information about actions involving LSTs in the Mediterranean in Sept 1943 that would have resulted in casualties? I don't know what ship Dad was on. Apparently, he participated in the landing. He never said a single word about the war. My Dad's parents migrated from Italy to US in about 1916. Dad was born in US, but his older brothers were born in Italy. They were all in the US military/WWII. My dad was a merchant seaman on one of the ships that carried American troops to the invasion of Palermo. On the way over it was announced that Italy had surrenered. The guys on his ship wanted to celebrate, thinking they would just walk ashore. But then the announcer said, but the Germans are still there. And were they ever. A lot of young Americans were killed. Many before they got ashore. Found this really interesting as I am just reading all the letters my dad sent home from North Africa, Sicily and Italy (amongst others!). He was in the British Intelligence Corps and worked with the US Army in Sicily. Any info about him would be welcome. He was called Lieut and then Capt J.E. Needham. Thank you. what were the purposes for this landing? Any information on S/SGT JW Kennedy Glider Pilot Regiment would be appreciated. Also Lt JD Brayley 2nd Battalion Parachute Regiment. Many thanks. My Uncle Mike LoCicero fought with the Us Infantry. He died as a result of friendly fire. Did anyone know him? Does anyone have information about people from Nicosia hiding in caves for two weeks during WWII. I am assuming it was during the Allied invasion. Thanks so much! This is an informative and very touching site. I have learned a lot in short time. The messages looking for lost loved ones and relatives remind me of my time at Ground Zero in New York and the messages that people would post publicaly. WW II was a helluva thing. Great information and very heart felt , my father was just telling me about when the allies invaded sicily he was 9 and living with his family in mascali sicily , they witnessed first hand this invasion and they where scared to there wits end.. He tells me of an allied pilot that was shot down and they hid him untill he was safe to leave , if the Germans found out they all would have been killed.. My father is now 83 yrs old and remembers this invasion well..
My father ,Kenneth Cecil Perry was awarded the military cross during the sicily invasion does anyone have any information or know how I can obtain information about this. My dad, Ted Mowry, fought and was injured during this invasion. He was in the 45th Infantry division. Does anyone remember him? During the time of the invasion of sicily my father who was parhaps 17 years ago escaped to the small island of Gozo (part of Malta) to avoid the war. My father remembered very well when the Americans came to Gozo, worked with them and remained impressed all his life with their Military efficience propable next to other during that period. He continued to insist and claim that within only 3 days they managed to build a whole military airport in Gozo to invade Sccily. Now only remains. It seems that the Americans kept this secret: Building a whole airport in 3 days. He recalled the heavy machinery (of that perod) they had and the techniques they used. It seems that (at that time) not even the Germans knew that in Malta there was also an airport in Gozo. Surely true but strange. Salve Se possibile ,volevo sapere se nelle zone di San Piero Patti (Messina provincia) Sicilia, si sono verificati episodi militari tra alleati e tedeschi? My grandfather was part of the design team for the Royal Navy his rank was lt Cdr obe dso I believe his rank in the admiralty s o o was special operations officer ? I have his top secret notes regarding his planning involvement of the flotillas for the invasion for which he designed. For me it has shown a different side to a invasion and the time and individual information of every man tank Lorry bulldozer water depth etc etc that was needed to plan just that tiny bit. Wonderful to find this site filled with information. My father (from Bahamas) trained Canadian forces) and was recruited to UK. His specialty was PBY Catalina which he learnt to fly at 14. I'm trying to find out if there was a mission into Italy using Catalina's as I believe he was on the ground at the time of surrender and I have discovered photos of Mussolini's demise. he told us once of discussing a campaign with Winston Churchill and again I have found evidence of a photograph. Any research assistance would be welcomed as I uncover his war-time career. My father William Prince took part in the Invasion of Sicily and I have a photograph of him with several other men next to a placard which states 'Some of the Men who took Avola 8th Army' He was 19 at the time. I would be very happy to share the photo with others if interested. My father, Michael Desmond Connor (known then as Des) was serving on HMS Valiant during Operation Husky, the Allied invasion of Sicily and subsequently operation Avalanche, the invasion of Italy. HMS Valiant then escorted the Italian fleet to Malta. I have recently found my father's "Record of Service in the Royal Navy". He joined as a boy sailor on 4 February 1931 and was "demobbed" on 3 January 1946. I have been researching the details of all the ships he served on during this time. My father fought on the Italian side, once the Allies secured Italy my father was sent to England to help tend farms for the rest of the war. I want to know how many Italian soldiers went over to farm? What part of England? Did any stay and got married? Any records that state who went where? I believe I remember my Mother talking of Italian prisoners of war helping on the farm (in Shropshire) during WW2. V.
You may be interested in my WWII book at Amazon: "A WWII Journal: February 4, 1942 – January 7, 1946"